Golden amber color. Aromas of madeira cake, dried fig, sweet thai chile sauce, date bar, granny smith apple, and pie crusts with a satiny, lively, fruity light-to-medium body and a peppery, distinctive, long grilled pineapple coulis, tropical fruit tart, passionfruit cordial, oat cakes, and roasted almonds and cashews finish. A bright, shining whisky with exceptional balance and singing tropical flavors. 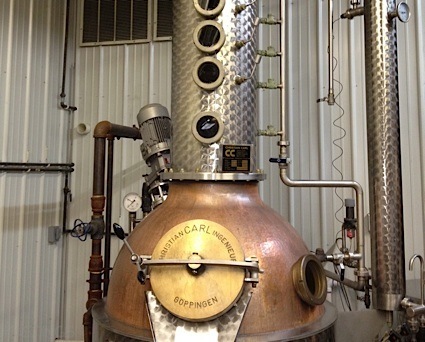 Bottom Line: A bright, shining whisky with exceptional balance and singing tropical flavors. 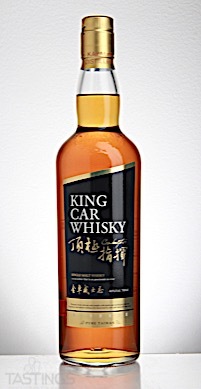 King Car Conductor Single Malt Whisky rating was calculated by tastings.com to be 94 points out of 100 on 7/23/2018. Please note that MSRP may have changed since the date of our review.